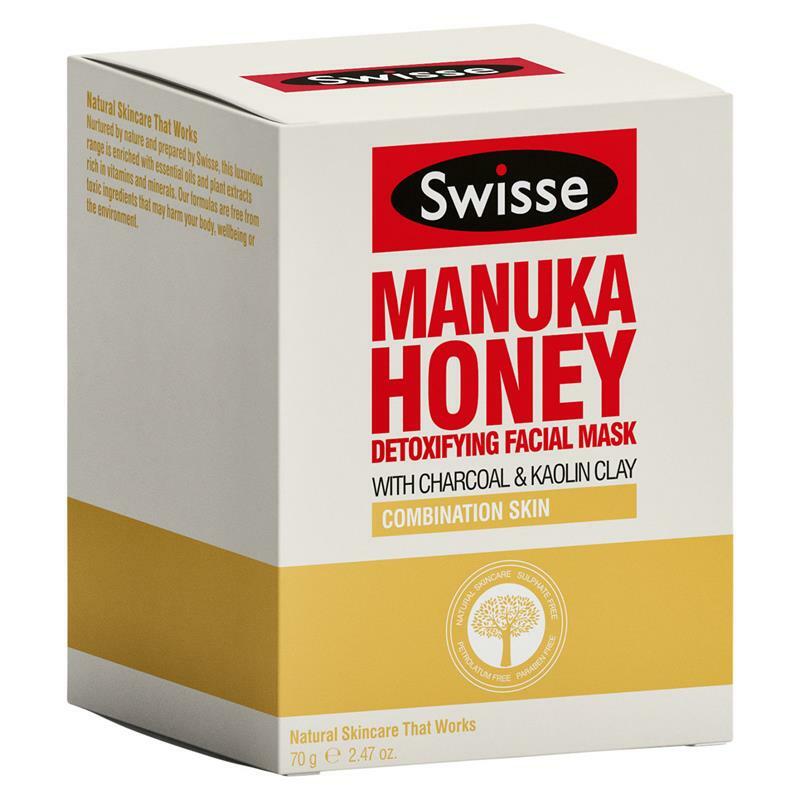 The Swisse Manuka Honey Detoxifying Facial Mask claims to deeply cleanse and hydrate skin, particularly that prone to blemish and congestion. The ingredient list in this mask is a who’s who of skincare buzz words. Rich in naturally occurring substances, it of course boasts manuka honey, charcoal and kaolin as stated on the label. Manuka honey is a natural humectant which helps to draw moisture to the skin and keep it at a balanced pH. Manuka honey’s powerful antibacterial and anti-inflammatory properties promote healing, seeing it equally suited to medicinal application as to skin care. It helps in the fight against ageing, promoting the growth and protection of collagen with amino acids and antioxidants. Healthy collagen means firmer more youthful looking skin. 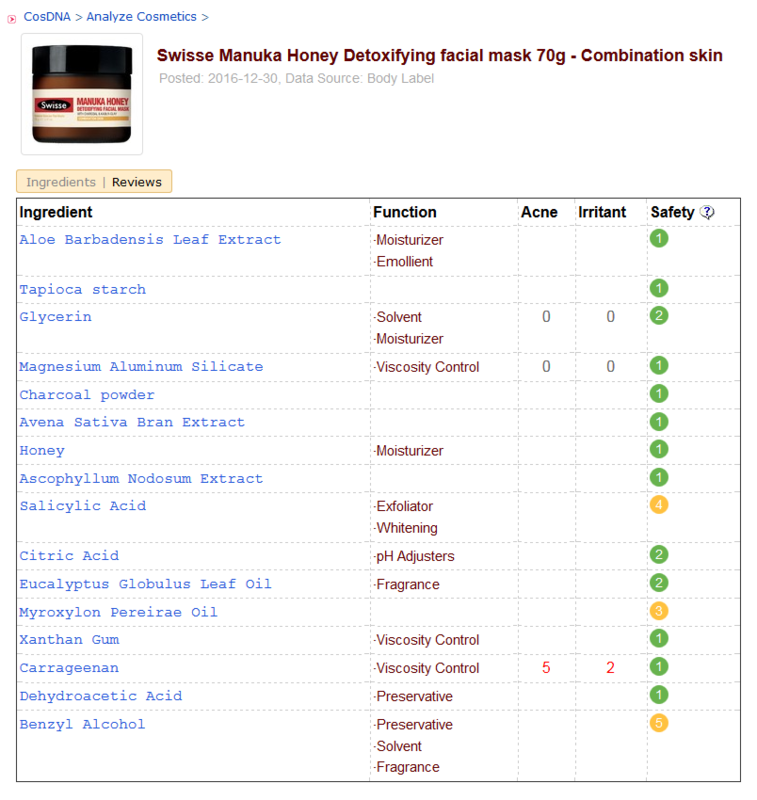 Honey (non-manuka variety), is also included in the mask. It is composed of amino acids, peptides and antioxidants and has similar but less potent skin benefits. The difference is due to the level of methylglyoxal, the active that enhances antibacterial and antiviral capabilities. Manuka contains significantly more methylglyoxal than regular honey. Charcoal contributes the mask’s detoxifying properties. It naturally draws and binds to pollutants, bacteria, chemicals and impurities on the skin’s surface. Naturally occurring kaolin is the key ingredient for acne control, absorbing excess sebum by mattifying, detoxifying and reducing the appearance of pores whilst cooling and calming the skin. It contains a high content of silica that helps to remove dead skin and regenerate new cells without over-drying. The formula also includes salicylic acid, a beta hydroxy acid (BHA) which acts as a gentle chemical exfoliant to increase cell turnover and collagen production. Applying it directly to the skin yields many of the benefits of scrubbing without the risk of rupturing pores or breaking tiny blood vessels. Salicylic acid is most effective with continuous application as it helps to keep pores clean, reducing the likelihood of acne reoccurance. Soothing aloe vera is used for hydration and healing. Its super anti-inflammatory benefits result from Vitamins A and B, folic acid, enzymes, proteins, amino acids, good fatty acids and triglycerides which help to reduce acne inflammation, redness and irritated skin. Oat Bran Extract also offers medicinal benefits, able to reduce redness, relieve skin disorders, strengthen the skin barrier to reduce water loss and offer anti-ageing benefits through its reparative properties. Delivering hydrating and nourishing abilities, Ascophyllum Nodosum Extract (Seaweed) is extremely rich in antioxidants, essential fatty acids, vitamins, minerals and amino acids. The formulation is free of preservatives, harmful chemicals (eg. parabens, silicones, mineral oils, urea etc) and animal products. Furthermore, it has not been tested on animals. The ingredient properties indicate increased hydration and cleansing/purifying capabilities meeting (in theory) the manufacturer’s claim. 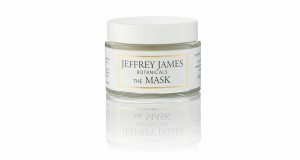 The mask comes in a dark brown glass screw top jar. It does not have a spatula or dispenser of any type which raises the possibility of contamination. I have several empties of this product. Having applied it with both fingers and a brush, I am pleased to report that the mask has never degraded but rather maintained its properties and effectiveness. With a relatively small number of ingredients and claims of preservative and chemical free content, it’s not surprising that the CosDNA report is pretty clean. For similar reasons, the EWG Skin Deep Cosmetic Database gave it a clean report also. Apply with fingers or a brush over a clean face avoiding eyes and lips. Swisse have released a video showing the recommended application. I prefer to smooth it on with a brush instead of fingers. Although both are equally effective, the former is simply less messy. I love fragrance free skincare, or at least skincare that has no artificially added fragrance. This has a slight clay smell resulting from the ingredients themselves which is to be expected. It is not overwhelming and quite okay, not at all irritating (to me at least). The RRP for the 70g jar is AUD$17.99, however, you can often find it on sale. A jar will typically last around 3 months depending on how often and how thickly you apply it. Swisse recommend using the product within 12 months of opening. With regular use (2-3 times a week), there is little risk of waste. 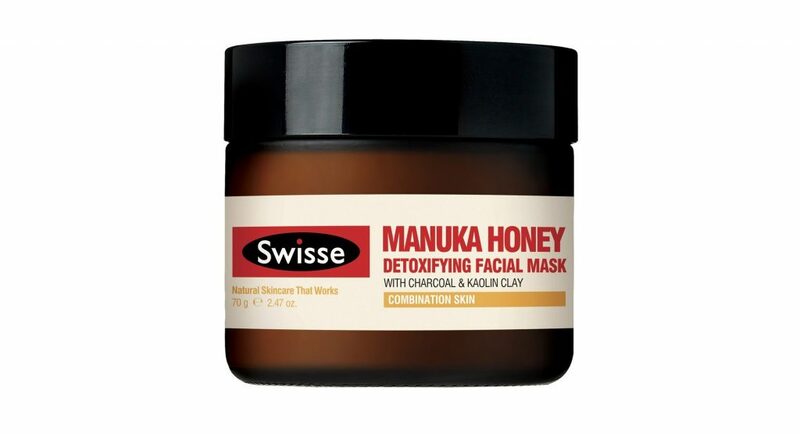 The Swisse Manuka Honey Mask is said to suit combination skin types, typical of clay based masks due to their ability to draw impurities and unclog pores. I have normal to dry skin with an oily T-zone, so my face is an ideal canvas upon which to trial it. I have been using it regularly for around a year. It is simple and effective. It goes on smoothly with plenty of slip to just glide on, feels cool and looks silky. You apply it to the entire face, avoiding the areas around the eyes and lips. Within around 10-15 minutes (depending on the thickness of the coat), it dries to a point where it is no longer wet to touch. The colour and texture transform from a shiny and smooth gunmetal gloss to a dull, pastel grey. A tightness is created when the mask is fully dry. At this stage, stretching the skin on your face causes the mask to crack. This indicates that it is ready to be washed off. I remove it in one of two ways, both equally effective. I either soften the surface with ample warm water and then gently wipe it off with a dampened face cloth or rinse and massage it off under the shower. Removal is simple provided sufficient water is used. Immediately, my skin feels smooth and quite hydrated, ready to absorb the onslaught of skincare to come. 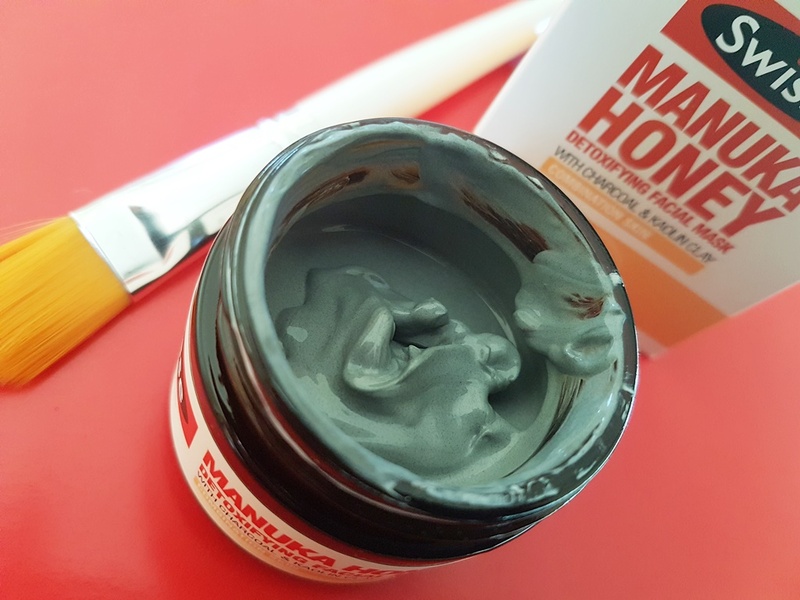 It does not leave my face feeling tight or dry, rather clean and bright, indicating that the honey has in fact balanced the skin’s pH, the kaolin has cleansed excess surface oils and the charcoal has drawn out impurities as expected. Regarding the benefits of manuka honey, these are not in doubt, however, the amount appears minimal given it is the last ingredient on a list sorted in order of concentration. So, the name of this product is misleading, implying that the primary active in a Manuka Honey Detoxifying Facial Mask is manuka honey, when in reality, it is the ingredient represented the least within the formula. Nonetheless, the other actives in the product are all noteworthy and contribute fine properties of their own. 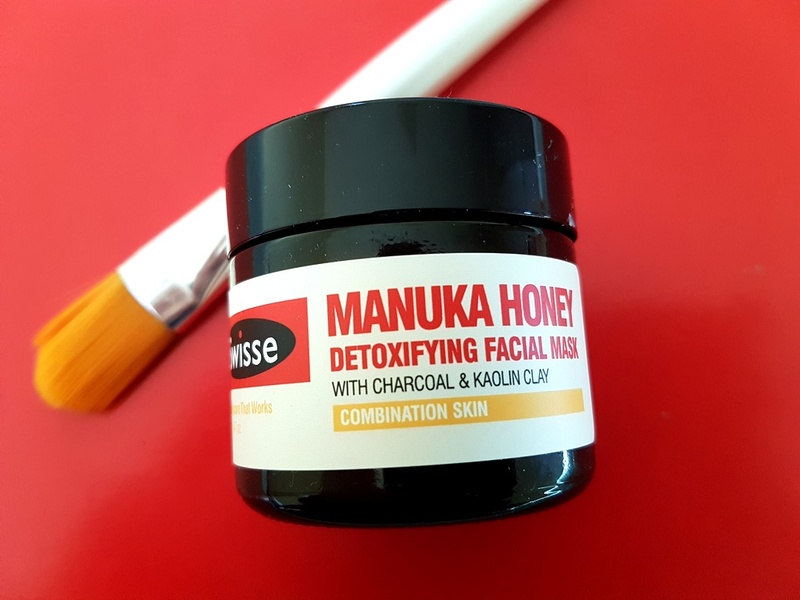 Due to the simplicity, gentleness, primarily natural composition and relatively inexpensive cost of the Swisse Manuka Honey Detoxifying Facial Mask, it presents a great option for anyone new to masks, particularly those with combination/oily skin. Alternatively, it can be introduced into an established skincare routine to complement or simplify it. It may be a little dehydrating for dry skin types. Results are immediately visible and with regular application (2-3 times a week), the skin retains a consistent, cleaner and fresher look. It is unlikely to irritate due to the natural ingredient list and lack of perfumes and parabens. I have several empties of this product and with a few unopened jars in my cabinet, will be using it for a while longer.